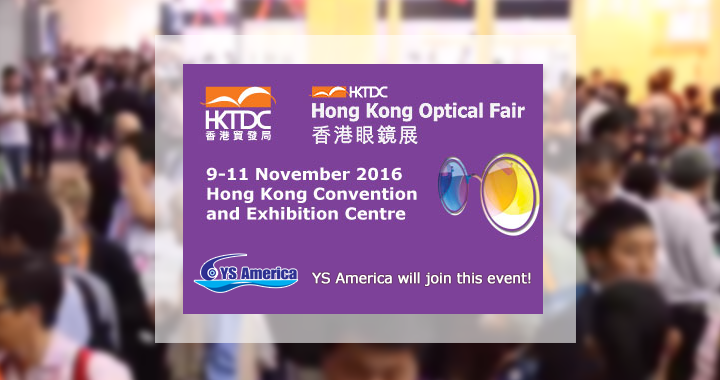 Come visit us at Hong Kong Optical Fair 2016 in Hong Kong! 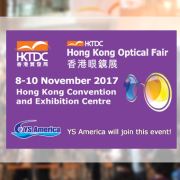 Organised by the HKTDC and held at the HKCEC, the Hong Kong Optical Fair offers a wide range of optical products including 3D eyewear, branded eyewear, contact lens & accessories, diagnostic instruments, eyewear accessories, eyewear, frames & lens, kids eyewear & accessories, optometric instruments & machinery, reading glasses, safety eyewear, sporting & professional eyewear, sunglasses as well as other related services and technology. YS America will join this event and planning to see the customers. If you are interested in some of our products and planning to visit Hong Kong, please contact us in advance and we will bring the products detail and samples for you.